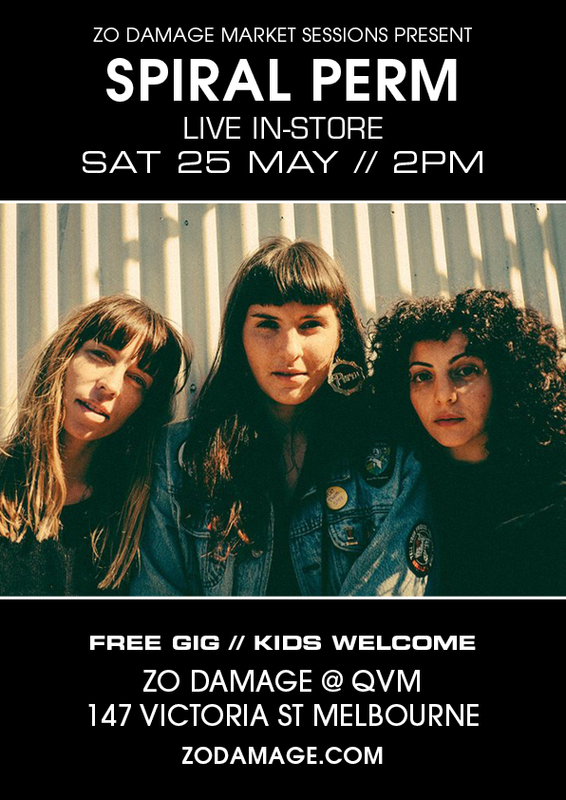 Melbourne Garage/Psych/Rock 3-piece SPIRAL PERM play live in-store for Zo Damage Market Sessions. Spiral Perm will have a selection of mech available to buy on the day. Listen Spiral Perm's track 'Visitor'. Released in November 2018 'Visitor' is available to stream and as digital download via Spiral Perm's Bandcamp.